E2 have been invited to present The Pavilion project as part of The Green Sky Thinking programme for spring 2013. E2 have been invited to present The Pavilion project as part of The Green Sky Thinking programme for spring 2013. Green Sky Thinking Week is ‘Mapping Sustainable London‘ by identifying the current sustainable initiatives and thinking driving London’s green agenda forward: Mapping who, where and how. Green Sky Thinking is a week long programme of sustainability focused events, organised by Open-City. Unlike conferences or trade shows the events are informal, on-site or live project talks, tours, seminars, and round table discussions, thereby offering an independent and direct platform from which to showcase actual best practice and thinking. Sam Cooper will be presenting the project alongside Dan Jestico of Hilson Moran, project sustainability engineers, and Philip Cooper the client. 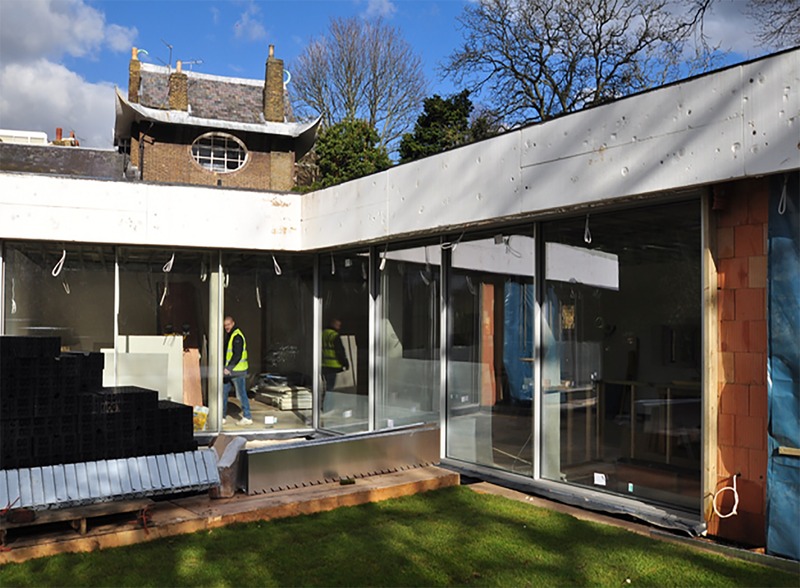 The visit will involve a short tour of the building followed by a presentation with a Q&A session on the challenges of delivering this ground breaking design and construction of a Code level 5 modernist house in the grounds of a grade II* listed building in the Blackheath Conservation Area. This event is aimed at clients, developers and construction professionals and will focus on the technical aspects of the design, planning, engineering and construction of The Pavilion, the house will be open as part of the Open House weekend in September for general interest tours.